1701 You Lucky Dog Run Lucky Run! 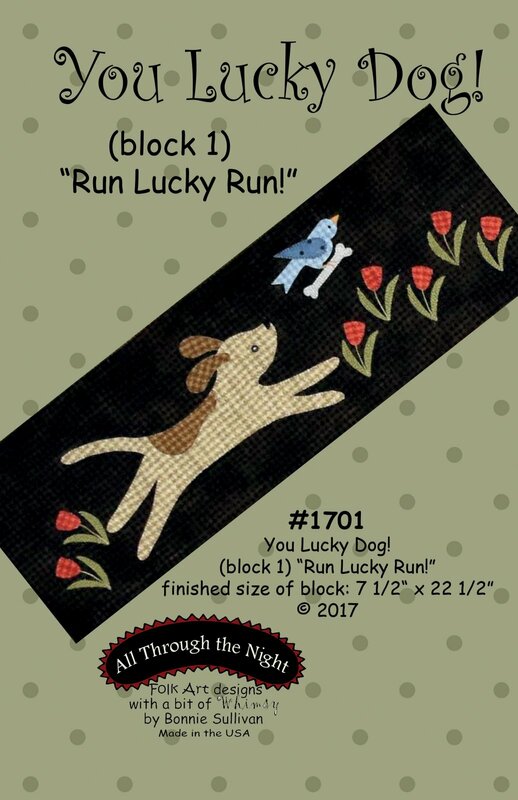 All Patterns > Block of the Month > 1701 You Lucky Dog "Run Lucky Run!" Part 1 of an 11 part Block of the Month. The 11 patterns combine to make a 43 1/2" x 48" wall hanging featuring Lucky's antics with his little blue bird friend, Lucy. The directions for finishing the wall hanging can be found in part 11.